Posted on February 6, 2019 February 7, 2019 by Rachel A. If you’re one of those who agrees with this and sees new opportunities under the sun of Florida and Miami, you’ll need to know how to deal with moving your office from NYC to Miami. Miami is called „Magic City“, which means it has a huge tourism economy and the hospitality industry. This could mean new business opportunities for your company! 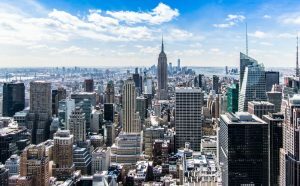 The costs of living and business offices are lower than in NYC which can save you a lot of money. If you’ve decided to come to Miami, look at some of the things you need to pay attention to. The first thing you should do is inform yourself and your employees about the basic facts about Miami. Take some time to find out what you are interested in this city. Believe us, you don’t want unpleasant surprises to happen to you while moving your office from NYC to Miami. Living and working in NYC is incredibly different from those things in Miami. NYC is a busy and fast city. While Miami is a more lazy and slow one. Life in New York for many is a luxury. It is a fact that it’s much more affordable to live in Miami than in NYC. According to a survey of some agencies, employees in New York are more stressed and dedicated to work. While employees in Miami are characterized as happier because they have more time to go out, eat and drink, enjoy weekends. So that could help you manage the relocation of your employees easier. And every help is welcome, right? Prepare to a new lifestyle difference from NYC to Miami! You also need to know some basic things about Miami. This is the cultural, economic and financial center of South Florida. The whole Miami area is home to about 6.1 million people. While Miami’s metro area is the fourth-largest urban area in the U.S. What you may be interested in. Because you’re moving your office from NYC to Miami, is that this city is the largest economy in Florida and the 12th largest in the United States with a GDP of $344.9 billion as of 2017. Miami is known as one of the richest city in the U.S. and also cleanest city because of good air quality. Clean drinking water, clean streets, and recycling programs. This is the only US city that is surrounded by national parks. Everyone speaks English as the main language. But, you may not know, over two-thirds of the population speak Spanish as their first language! 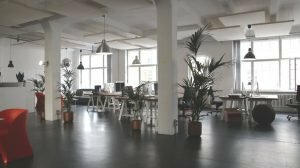 Your office relocation can be much easier with our provided tips! In case you are familiar with New York traffic jams are not something that you are not aware. But still, we have to warn you, if you’re moving your office from NYC to Miami, prepare for the brutal traffic. People in New York live fast and learned to always come early. While Miami’s lifestyle is much lazier. Also, if the Brickell Avenue drawbridge goes up, this means inevitable delays. If you are in a crowd while you are moving, do not get nervous, you will get used to it in time. Keep in mind that you do not leave moving for the last day. Let it take some time to relieve stress. A large number of tourists, as well as a large number of cars on the streets, may be a problem if you hired moving vehicles. Consult with New York to Florida moving professionals to avoid unpleasant surprises. When we think of Miami, we have sunny and warm weather in our heads. In fact, weather conditions are really complicated in this city and can give you trouble while moving your office from NYC to Miami. You may love heat and warm weather, but if you’re not a fan of humidity you won’t feel so happy. Also, flooding is the thing that worries the citizens of Miami the most. In case the sea level is rising, there is always a risk. 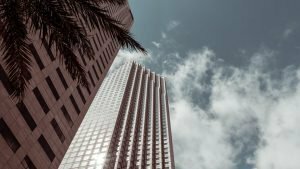 If you are planning to relocate your office in Miami, you should check where is the best location to avoid flood if it comes to that. You can also encounter a large number of rainy days that can ruin the moving plan. We suggest you to check the weather forecast and pick the right time for moving. We are sure that when moving on a long distance you need the help of professionals. 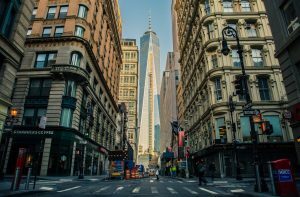 While moving your office from NYC to Miami, try to find the best professional Miami moving company. 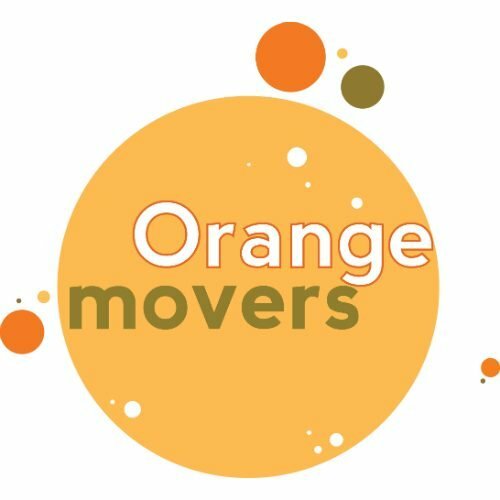 Orange movers Miami can help you relocate your office in the best way without being stressed. Moving agencies are sure to know the city better than you do and they know how to avoid crowds and be more effective while moving. Miami lifestyle is a bit lazier than that of NYC! And the last but not the least important thing is that you should check the costs od the Internet, driving a car and also flight costs. We know that Internet prices in the US are expensive if we compare them with other countries in the world. The prices in 2017, based on a year contract are up from $19/mo for 10 Mbps to $40.00/mo for 45 Mbps. It’s important to say that if you’re moving from NYC to Miami, you’ll be able to keep your driving license but you need to update your address to a new one. Parking in Miami is a bit expensive, so a taxi is sometimes a cheaper option. If we speak about flight costs, you can find a flight from NYC to Miami for $63. Now compare these prices with those in New York and you can see that you can save some money.